The Dupuytren Research Group Board of Directors is uncompensated. Board members are motivated entirely by deep personal interest and commitment to the future of families affected by Dupuytren disease. Dupuytren Research Group Executive Director Dr. Charles Eaton is a board-certified hand surgeon with extensive Dupuytren experience. He established the Dupuytren Foundation in 2008 and has served as President and Secretary through its transition to the Dupuytren Research Group. Dr. Eaton has Dupuytren disease. He closed his clinical practice in 2012. He serves on advisory boards of the International, British and Canadian Dupuytren societies. 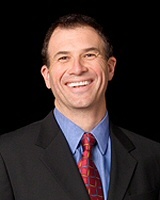 Stuart Landow is CEO and Chief Marketing Officer of AC Kinetics. He has over 30 years of business management and marketing experience. He has served as Senior Vice President of Purolator Products, marketing consultant to many multinational consumer and industrial entities, and CEO of Top Source Technologies, a technology development and marketing company that he listed on the American Stock Exchange. Mr. Landow holds a BS in Marketing from Farleigh Dickinson, served as an officer in the U.S. Military, and is the CEO and Chief Marketing Officer of AC Kinetics. 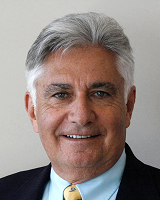 Peter Geimer is a lawyer with more than 30 years experience with domestic and international commercial technology law. 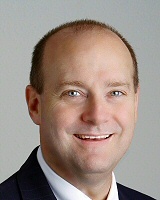 He has represented a range of commercial clients in law firms and served as General Counsel to a technology start-up. He has worked as Director of Technology Transactions law for Verizon, Regional Counsel for MCI, and Director of Business Management for Lucent Technologies. Mr. Geimer has provided pro bono work for a number of charitable organizations in the Washington, D.C. area. His current focus is research and strategic planning for the Dupuytren Research Group’s International Dupuytren Data Bank. Laura Holmes Jost is Vice President of Chandler Residential, Inc., a multifamily real estate company which has bought and managed over 8,000 apartments/condos in 30 complexes in Virginia, Florida, and Texas. She has held leadership positions in countless political campaigns and civic organizations including serving as a founding member of the Human Rights Commission in Arlington County, Virginia. 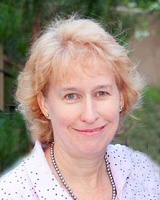 Mrs. Jost received a Bachelor of Arts in International Affairs from George Washington University in 1984 and a Master of Business Administration from George Washington University in 1987. She was diagnosed with Dupuytren Disease at the age of 49. 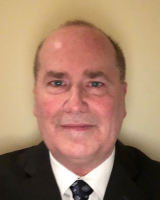 Tom Knapp is an insurance executive, working with life insurance, annuities, and estate planning for the last 40 years. Mr. Knapp has had multiple procedures for severe Dupuytren disease. He was awarded the Distinguished Flying Cross, the Bronze Star for Valor and the Purple Heart for Combat action in Vietnam. 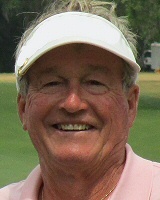 An All-American Junior College Soccer National Champion, Mr. Knapp has won 23 Major championships of the Florida State Golf Association and Palm Beach County Golf Association. 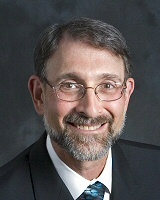 Dr. Gary Pess is a board-certified hand surgeon. He underwent extensive training in hand and upper extremity surgery and microsurgery at New York University, taught at Harvard’s Massachusetts General Hospital, and is now Senior Managing Partner of Central Jersey Hand Surgery. He is a lecturer and consultant on Dupuytren’s contracture and minimally invasive hand surgery procedures. Dr. Keith Raskin is a board-certified hand surgeon and clinical associate professor of orthopedic surgery at New York University School of Medicine. With over twenty years of academic surgical experience, he has devoted his career to the diagnosis and treatment of upper extremity conditions. Dr. Raskin has published and lectured extensively in the field of upper extremity surgery. 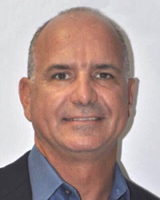 Chris Giomblanco is Chief Operations Officer for Playwire Media in South Florida. He has over 30 years of executive, management and finance experience. Mr. Giomblanco has served as Founding CFO of Triad Retail media, CFO of Alienware Computer, and has held various finance leadership roles at Dell, Motorola, and United Technologies – Pratt & Whitney. He has had multiple procedures for aggressive Dupuytren disease. Mr. Giomblanco is committed to helping the organization achieve both its financial and foundation goals. Mr. Giomblanco holds a BS in Finance from The University of Connecticut.